7 Tips of on how to Prepare Yourself for Greater Experience of Meditation. When it’s time for your sitting session, you can simply sit down and start. That’s what I was doing in the first few years of my practice. Or you can take a couple of minutes to center and “prepare” yourself – and your meditation session will be more pleasant and quiet. I took me a long time to learn these hacks, and I wish I had known them before. That’s why I decided to write about them, so you can shortcut your learning curve, and experience deep meditation sessions more often. The first three hacks are part of the preparation process and can take from two 20 minutes – it’s entirely up to you. You don’t need to go through all these elements, but I found that each of them is helpful. The fourth and fifth hack are attitudes that you can develop during practice that will aid your concentration. And the last two ones is about what you do after your practice. At the bottom of this page you will find a button to download the free PDFwith these 7 hacks. Our mind, body and breath are interconnected. So relaxing the body and calming the breath will naturally calm the mind as well. The parasympathetic nervous system gets activated, and as a result the stress response will be down-regulated. That is why, in the system of Yoga practice, one works with postures (asanas) and breathing regulation (pranayama). Once you sit on your cushion/chair, take three to five full breaths – breathing in through the nose, and out through the mouth. Make them aslong, even, and deep as possible. Pay special attention to relaxing the jaw, throat, tongue, and forehead. Take 5-10 minutes to do the following 9 Yoga Asanas, so you can relax and lighten up the body. Instead of 4-8 seconds, you can go for 3-6, or 5-10, 6-12, etc. The important thing is that we are aiming for the exhalation to be longer than the inhalation (ideally double). That may be hard in the beginning, so you grow into it as you go. Breathing should be soft, even, and as soundless as possible. Do not force yourself – it should be comfortable. So adjust your count according to your capacity. Our brain is deeply wired to avoid pain, and seek pleasure. So if you can generate some stable feelings of safety and contentment, right before your meditation, you are sending a message to your brain that all is well, and it need not be restless. Also, if you have practiced loving-kindness meditation before, you know you have the capacity to kindle feelings of love and compassion in your heart, and that doing that brings in joy. So you can remember these feelings, or generate them inside yourself, for a couple of minutes before meditation. To explore more this fact, I recommend listening to episode 149 of Buddhist Geeks, on “neurodharma”. Also, for increasing the feeling of safety, allocate a safe and quiet place for your meditation and remove anything that may interrupt your practice such as your mobile, pets, etc. Inform those that may need your attention to be respectful of the space and the time you are allocating for your practice and not to create any abrupt noise or move in and out of the room. If you cannot find such a place, alternatively you can use earplugs or headphones to cover your ears. Taking a few moments to just focus your intention before practice can do wonders for your meditation. Determination and will power are very important. As Swami Rama says, “I can do it. I will do it. I am going to do it.” This is an essential key to deepen your Meditation. If you feel you don’t have good determination or will power, don’t worry. By practicing setting up your intention in this way, you slowly start developing these muscles. During your meditation practice, it is important never to criticize yourself, or feel bad about getting distracted with thoughts. These types of thoughts are harmful and not in line with the spirit of good meditation. Learn to be gentle with yourself during your practice. For decades you have trained your mind to be distracted; so it will take some time to train it to be focused. Be patient and kind with yourself. There will be moments when your mind is more focused on the meditation object. When this happens, it’s important to delight in it. Enjoy how quiet, stable and unified the mind gets. Mind’s most fundamental habit is to seek pleasure/well-being and shun pain/suffering. By teaching the mind to appreciate the joy of concentration, it starts working more towards increasing that, by facilitating more focus. According to the Buddha, joy (piti) and happiness (sukha) are two of the five factors of meditative absorption (jhanna). The more you learn to open up and enjoy your meditation, the less reasons there are for the mind to get restless thinking of other things. This practice is very useful when your concentration is still wavering. Once concentration gets solid and stable, however, there is no need to disturb the mind with these thoughts and intentions – just stay there. When the bell rings, get out of your meditation gently, not hurriedly. Keep the mind in the same state, gently move your fingers and neck, and then open your eyes. This transition helps you bring more of the “meditation feeling” into your daily life. I highly encourage you to then take some notes about how your practice went. This helps you solidify the meditation habit. It also develops a greater understanding of the workings of the mind, and the mechanics of meditation. How long did I sit? How was my mind during meditation? For the third question, you can note things like how many times you got distracted, what types of thoughts or feelings were you experiencing, and for how long you could keep focused. 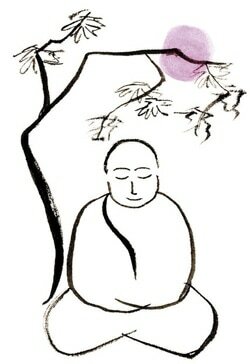 Before meditation: relax the body, calm the breath, gladden the mind, focus the intention. In my beginners/intermediate meditation course I integrate these seven tips and other valuable principles. I would love to hear how these hacks affect your practice and daily life. Please leave a comment sharing your experience. How many types of Meditation Techniques are there & How to Practice them? The advice regarding the posture of meditation is very similar among the different styles of seated practice, so I will go in to more detail about it only once, when talking about the first technique (Zen meditation). I have strived to include a “Is it for me?” section, with general observations about each practice. Keep in mind these are tentative; they are there to give some direction, and potentially any person could feel attracted to any of these modalities. This article does NOT tell you which is “the best” type of meditation – because there is no such thing, and I’m not here to create controversy. Also, I have here focused more on meditative practices; I may write another article on other similar practices, that are more about relaxation or contemplation. If you are a beginner, you may also enjoy the post on meditation tips andmeditation for beginners – how to build the habit. Instead of focusing the attention on any one object, we keep it open, monitoring all aspects of our experience, without judgment or attachment. All perceptions, be them internal (thoughts, feelings, memory, etc.) or external (sound, smell, etc. ), are recognized and seen for what they are. It is the process of non-reactive monitoring of the content of experience from moment to moment, without going into them. Examples are: Mindfulness meditation, Vipassana, as well as some types of Taoist Meditation. It’s the state where the attention is not focused on anything in particular, but reposes on itself – quiet, empty, steady, and introverted. We can also call it “Choiceless Awareness” or “Pure Being”. Most of the meditation quotes you find speak of this state. This is actually the true purpose behind all kinds of meditation, and not a meditation type in itself. All traditional techniques of meditation recognize that the object of focus, and even the process of monitoring, is just ameans to train the mind, so that effortless inner silence and deeper states of consciousness can be discovered. Eventually both the object of focus and the process itself is left behind, and there is only left the true self of the practitioner, as “pure presence”. The most important aspect, as you see in the pictures, is keeping the back completely straight, from the pelvis to the neck. Mouth is kept close and eyes are kept lowered, with your gaze resting on the ground about two or three feet in front of you. [There is some conflicting information on how to practice Vipassana. In general, however, most teachers emphasize starting with mindfulness of breath in the first stages, to stabilize the mind and achieve “access concentration.” This is more like focused attention meditation. Then the practice moves on to developing “clear insight” on the bodily sensations and mental phenomena, observing them moment by moment and not clinging to any. Here goes an introduction, aimed for beginners. To know more I’d suggest following up the links provided or learning from a teacher (perhaps in a Vipassana retreat). ]Ideally, one is to sit on a cushion on the floor, cross-legged, with your spine erect; alternatively, a chair may be used, but the back should not be supported. As a result one develops the clear seeing that the observed phenomena is pervaded by the three “marks of existence”: impermanence (annica), insatisfactoriness (dukkha) and emptiness of self (annata). As a result, equanimity, peace and inner freedom is developed in relation to these inputs. Vipassana is an excellent meditation to help you ground yourself in your body, and understand how the processes of your mind work. It is a very popular style of meditation. You can find plenty of teachers, websites, and books about it, as well as 3~10 days retreats (donation based). The teaching of it is always free. There are no formalities or rituals attached to the practice. Mindfulness Meditation is an adaptation from traditional Buddhist meditation practices, especially Vipassana, but also having strong influence from other lineages (such as the Vietnamese Zen Buddhism from Thich Nhat Hanh). 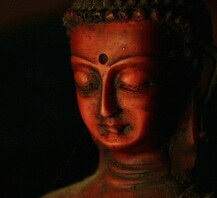 “Mindfulness” is the common western translation for the Buddhist term sati. Anapanasati, “mindfulness of breathing”, is part of the Buddhist practice of Vipassana or insight meditation, and other Buddhist meditational practices, such as zazen (source: Wikipedia). 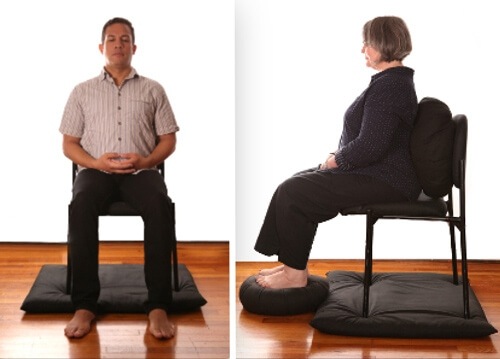 For the “formal practice” time, sit on a cushion on the floor, or on a chair, with straight and unsupported back. Pay close attention to the movement of your breath. When you breath in, be aware that you are breathing in, and how it feels. When you breath out, be aware you are breathing out. 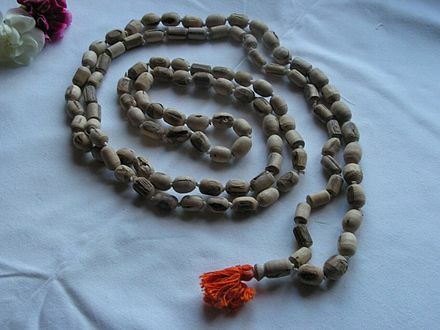 Do like this for the length of your meditation practice, constantly redirecting the attention to the breath. Or you can move on to be paying attention to the sensations, thoughts and feelings that arise. The effort is to not intentionally add anything to our present moment experience, but to be aware of what is going on, without losing ourselves in anything that arises. Your mind will get distracted into going along with sounds, sensations, and thoughts. Whenever that happens, gently recognize that you have been distracted, and bring the attention back to the breathing, or to the objective noticing of that thought or sensation. There is a big different between being inside the thought/sensation, and simply being aware of it’s presence. Demonstrated benefits include: boosting one’s ability to empathize with others; development of positive emotions through compassion, including a more loving attitude towards oneself; increased self-acceptance; greater feeling of competence about one’s life; and increased feeling of purpose in life (read more in our other post). In this article, Emma Seppälä, Ph.D explores the 18 scientifically proven benefits of Loving-Kindness meditation. 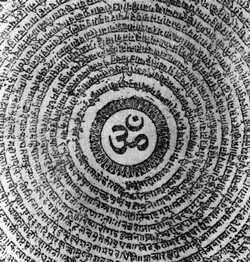 A mantra is a syllable or word, usually without any particular meaning, that is repeated for the purpose of focusing your mind. It is not an affirmation used to convince yourself of something. 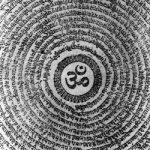 In general, however, it is known that TM involves the use of a mantra and is practiced for 15–20 minutes twice per day while sitting with one’s eyes closed. The mantra is not unique, and is given to the practitioner based on his gender and age. They are also not “meaningless sounds” – rather, they are Tantric names of Hindu deities. This probably is irrelevant for most people. 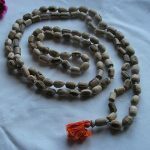 There is another similar technique, called Natural Stress Relief, which was created in 2003 by a former TM Teacher, and is much cheaper to learn (47 USD instead of 960 USD), and has stripped out some mystical elements of the practice of TM, such as the initiation (puja) and yogic flying (part of TM-Siddhi). Personally I don’t feel comfortable advising anyone to try Transcendental Meditation anymore, especially if you are looking to go deep into meditation. If you wish to try something similar, for a fraction of the cost or for free, have a look at NSR (above), or Mantra Meditation. 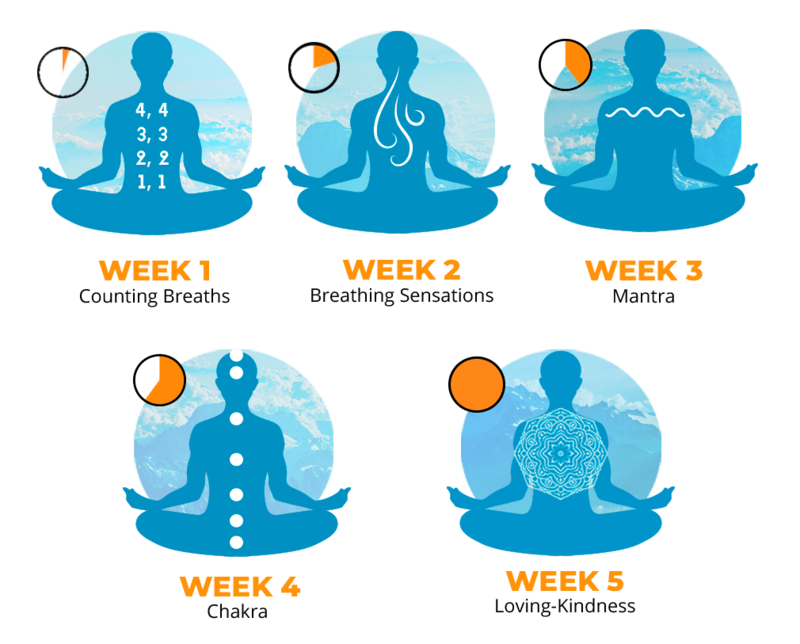 Chakra Meditation — the practitioner focuses on one of the seven chakras of the body (“centers of energy”), typically doing some visualizations and chanting a specific mantra for each chakra (lam,vam, ram, yam, ham, om). Most commonly it is done on the heart chackra, third eye, and crown chackra. Pranayama — breathing regulation.1 It is not exactly meditation, but an excellent practice to calm the mind and prepare it for meditation. There are several different types of Pranayama, but the simplest and most commonly taught one is the 4-4-4-4. This means breathing in counting up to 4, holding for 4 seconds, breathing out for 4 seconds, and holding empty for 4 seconds. Breathe through your nose, and let the abdomen (and not the chest) be the one that moves. Go through a few cycles like this. This regulation of breathing balances the moods and pacifies the body, and can be done anywhere. With all these types of meditation in Yoga, you are likely to find one that you like. If you are a musician, perhaps nada yoga is something that will attract you. If you are a devotional person, kriya yoga is a good option. Kundalini and Chakra meditation should only be attempted with a teacher. 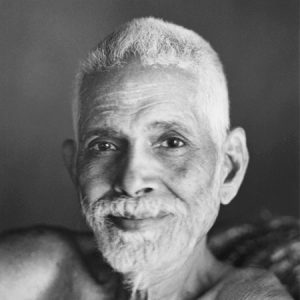 The modern non-duality movement (or neo-advaita), which is greatly inspired in his teachings – as well as those of Nisargadatta Maharaj(1897~1981) and Papaji – strongly uses this technique and variations. Many contemporary teachers to employ this technique, the most famous ones being Mooji (whom I’ve personally been with and recommend),Adyashanti, and Eckhart Tolle. 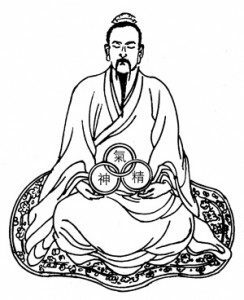 Daoism is a Chinese philosophy and religion, dating back to Lao Tzu (orLaozi). It emphasizes living in harmony with Nature, or Tao, and it’s main text is the Tao Te Ching, dating back to 6th century B.C. Later on some lineages of Taoism were also influenced by Buddhist meditation practices brought from India, especially on the 8th century C.E..
Master Liu Sichuan emphasises that, although not easy, ideally one should practice by “joining the breath and the mind together”; for those that find this too hard, he would recommend focusing on the lower abdomen (dantian). People that are more connected with the body and nature may like to try Taoist meditation, and enjoy learning a bit about the philosophy behind it. Or if you are into martial arts or Tai Chi, this might be of your interest. However, Taoist centers and teachers are not as easy to find as Buddhist and Yoga ones, so it might be a challenge to follow through. For a deep study on Qigong history, theory, and philosophy, I recommendThe Root of Chinese Qigong. Daoist practices may also employ Qigong, but since Qigong is also applied in other Chinese philosophies, I decided to treat it as a separate subject. There are thousands of different Qigong exercises cataloged, involving over 80 different types of breathing. Some are specific to martial arts (to energize and strengthen the body); others are for health (to nourish body functions or cure diseases); and others for meditation and spiritual cultivation. Qigong can be practiced in a static position (seated or standing), or through a dynamic set of movements – which is what you typically see in YouTube videos and on DVDs. The exercises that are done as a meditation, however, are normally done sitting down, and without movement. Sit in a comfortable position. Make sure your body is balanced and centered. Place all your attention in the “lower dantien”, which is the center of gravity of the body, two inches below the navel. This will help accumulate and root the qi (vital energy). Where your mind and intention is, there will be your qi. So, by focusing on the dantien, you are gathering energy in this natural reservoir. The first two are seated meditation, while the latter two are dynamic Qigong, integrating body stretches. Qigong meditation may be more attractive to people that like to integrate a more active body and energy work into the practice. If seated meditation is unbearable for you, and you prefer something a bit more active, try some of the more dynamic forms of Qigong. Again, there are several styles of Qigong out there, and you may need to try with different teachers or DVDs to find the one that suits you. Some people have a taste of dynamic Qigong through the practice of Tai Chi. contemplative reading — or simply “contemplation”, which involves thinking deeply about the teachings and events in the Bible. 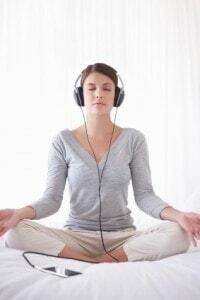 Guided meditation usually comes in the form of audio (file, podcast, CD), and sometimes audio and video. You will find that any guided meditation will fall in one of below categories (with some overlap, obviously). Traditional Meditations — With these types of audios, the voice of the teacher is simply there to “illustrate” or “guide” the way for your attention, in order to be in a meditative state; there is more silence than voice in it, and often no music. Examples are the ones offered by Thich Nhat Hanh and Tara Brach, which are rooted in authentic Buddhist practices. The purpose is to develop and deepen the practice itself, with all the benefits that come with it. Guided Imagery — Makes use of the imagination and visualization powers of the brain, guiding you to imagine an object, entity, scenery or journey. The purpose is usually healing or relaxation. Relaxation & Body Scans — Helps you achieve a deep relaxation in your whole body. It’s usually accompanied by soothing instrumental music or nature sounds. In Yoga these are called yoga nidra. The purpose is relaxation and calmness. Affirmations — Usually coupled with relaxation and guided imagery, the purpose of these meditations is to imprint a message in your mind. Binaural Beats — Binaural beats were originally discovered in 1839 by physicist Heinrich Wilhelm Dove. He discovered when signals of two different frequencies are presented separately, one to each ear, your brain detects the phase variation between the frequencies and tries to reconcile that difference. This is used to generate alpha waves (10 Hz), which is the brain wave associated with initial levels of meditation. There is scientific research into why and how binaural beats work. While they all have their merits, it is the first type that most naturally evolves into individual unguided practice. If you feel traditional meditation is a bit too hard, or you are unsure where to start, then guided meditations can be the way for you to begin. Or if you are seeking some very specific experience or benefit – like improving self-esteem, working through a trauma, or just letting go of some tension in your body – you can also find some guided meditation that suits you. There you go. With all these styles available, and some many nuances in each of them, you are sure to find a practice you like. You can try some of these practices by yourself. But try also to find a teacher with whom you can connect with, as this can make a huge difference in your journey. Meet different meditation teachers and groups and see what their practice has done for them. Finding the right practice for you is important. Once you have chosen your practice, and built the habit, the next step is to better understand the process of meditation. Also, consider implementing these 7 tips for deep meditation. Do you know any other interesting resources (books, sites, teachers) that were not mentioned here? Please leave a comment. My intention, like with all posts, is to work towards the mission of this site: “To bring meditation and personal growth to one million people”. If you have learned something from this post, it would mean a lot for me if youshare this. I have more epic posts like this coming. Subscribe to the newsletter to keep in touch. The word meditate stems from the Latin root meditatum, to ponder. In the Old Testament hāgâ (Hebrew) means to sigh or murmur, but also to meditate. When the Hebrew Bible was translated into Greek, hāgâ became the Greek melete. The Latin Bible then translated hāgâ/melete into meditatio. The use of the term meditatio as part of a formal, stepwise process of meditation goes back to the 12th century monk Guigo II. Apart from its historical usage, the term meditation was introduced as a translation for Eastern spiritual practices, generally referred to as dhyāna, which comes from the Sanskrit root dhyai, meaning to contemplate or meditate. The term “meditation” in English may also refer to practices from Islamic Sufism, or other traditions such as Jewish Kabbalah and Christian Hesychasm. A recent edited book about “meditation”, for example, included chapter contributions by authors describing Buddhist, Christian, Hindu, Islamic, and Taoist traditions.Scholars have noted that “the term ‘meditation’ as it has entered contemporary usage” is parallel to the term “contemplation” in Christianity. The Islamic practice of Dhikr had involved the repetition of the 99 Names of God in the Qur’an since the 8th or 9th century. By the 12th century, the practice of Sufism included specific meditative techniques, and its followers practiced breathing controls and the repetition of holy words. Interactions with Indians or the Sufis may have influenced the Eastern Christian meditation approach to hesychasm, but this can not be proved. Between the 10th and 14th centuries, hesychasm was developed, particularly on Mount Athos in Greece, and involves the repetition of the Jesus prayer. Western Christian meditation contrasts with most other approaches in that it does not involve the repetition of any phrase or action and requires no specific posture. Western Christian meditation progressed from the 6th century practice of Bible reading among Benedictine monks called Lectio Divina, i.e. divine reading. Its four formal steps as a “ladder” were defined by the monkGuigo II in the 12th century with the Latin terms lectio, meditatio, oratio, and contemplatio (i.e. read, ponder, pray, contemplate). Western Christian meditation was further developed by saints such as Ignatius of Loyola and Teresa of Avila in the 16th century. By the 18th century, the study of Buddhism in the West was a topic for intellectuals. The philosopher Schopenhauer discussed it and Voltaire asked for toleration towards Buddhists.The first English translation of the Tibetan Book of the Dead was published in 1927. 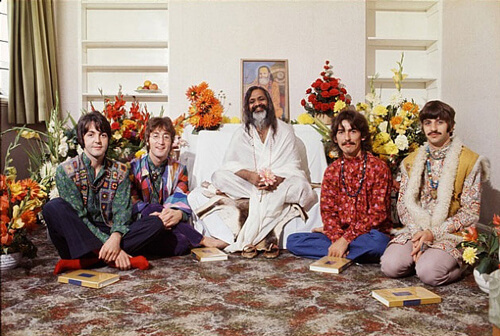 Secular forms of meditation were introduced in India in the 1950s as a Westernised form of Hindu meditative techniques and arrived in the United States and Europe in the 1960s. Rather than focusing on spiritual growth, secular meditation emphasizes stress reduction, relaxation and self improvement. Both spiritual and secular forms of meditation have been subjects of scientific analyses. Research on meditation began in 1931, with scientific research increasing dramatically during the 1970s and 1980s. Since the beginning of the ’70s more than a thousand studies of meditation in English-language have been reported. Ever since Scientific Research on Meditation, it is a practice where an individual trains the mind or induces a mode of consciousness, either to realize some benefit or for the mind to simply acknowledge its content without becoming identified with that content, or as an end in itself. 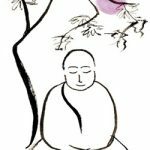 In Modern Philosophy term meditation refers to a broad variety of practices that includes techniques designed to promote relaxation, build internal energy or life force (qi, ki, prana, etc.) and develop compassion, love, patience, generosity, and forgiveness. A particularly ambitious form of meditation aims at effortlessly sustained single-pointed concentration meant to enable its practitioner to enjoy an indestructible sense of well-being while engaging in any life activity. Keep the middle finger at the mount of Venus and press it with the thumb. Time Duration: One can practice it for 40 to 60 minutes daily until to be cured from the disease. It relieves an earache within 4 or 5 minutes.